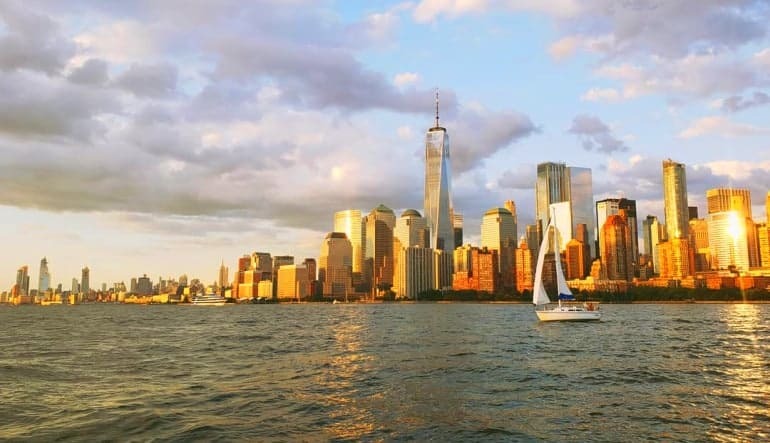 Leave the hustle and bustle of the city that never sleeps behind on a stunning sunset sail of the NYC skyline! All aboard for an elegant evening on the waters of New York Bay. Leave the hustle and bustle of the city that never sleeps behind on a stunning sunset sail of the NYC skyline! All aboard for an elegant evening on the waters of New York Bay. 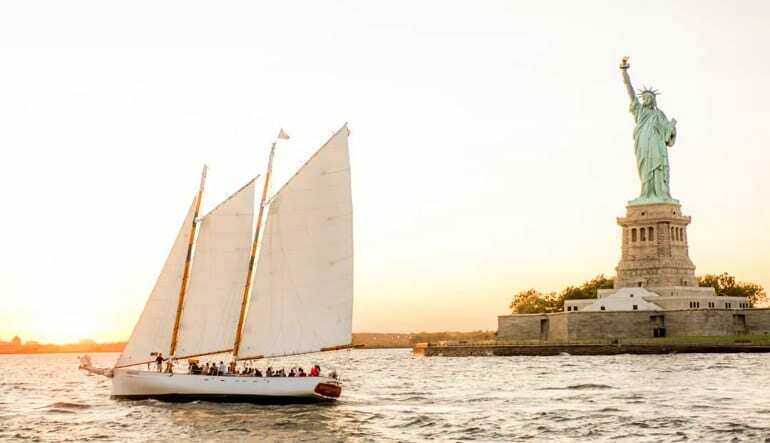 Departing from famous Chelsea Piers themselves, this lovely sail sets forth down the Hudson River towards Battery Park, passing by the iconic Statue of Liberty National Monument islands, Ellis and Liberty, before swooping further along lower Manhattan through the waters of New York Bay. 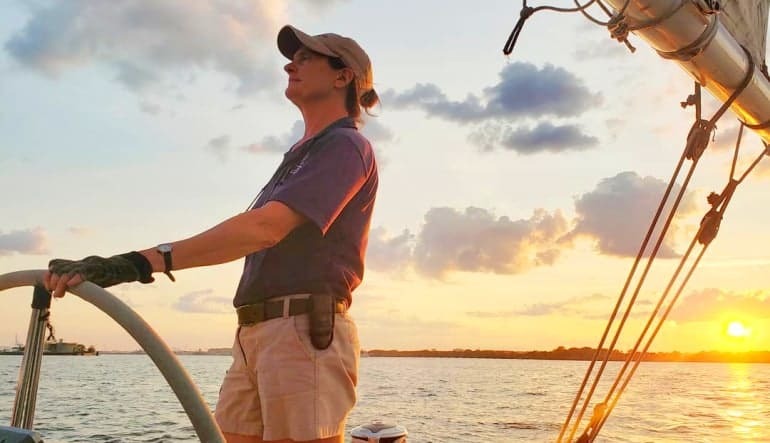 Inspired by the pilot schooners popularized in the late 1800s, the Adirondack provides guests with a steady, calm sail and an incredible view of Manhattan’s iconic waterside landmarks. 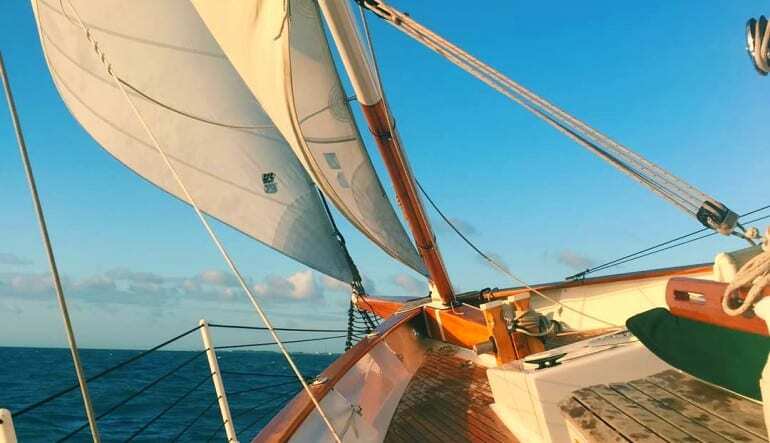 With its multi-mast rigging and sleek design, the pilot schooner is a classic example of American maritime engineering at its finest. Fast, fine-ended, and billowing with sails, the Adirondack is a boat unmatched on these waters and a sail on her is not to be missed. Why fight your way through the traffic and crowds when you can see the skyline in its picturesque glory from the peaceful bay waters? Delightful experience. Would highly recommend and most definitely do again.